Of course the highlight of the year is sure to be EAC's national conference, but you already know that because you’re on this page. Blue and the rest of the conference committee look forward to welcoming Canada's editors in true east coast style. Don't forget: Members of EAC, the Indexing Society of Canada, the Canadian Authors Association and the Writers’ Federation of Nova Scotia benefit from early-bird discounts, but only through April 12. Register now! 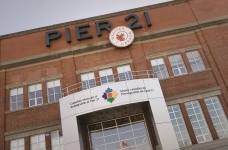 While Big Blue's family tree is firmly rooted in Maritime waters, many Canadians can trace their heritage back to relatives who first arrived in Canada, landing at Pier 21 between 1928 and 1971. The Canadian Museum of Immigration hosts regular and temporary exhibits, and visitors can also visit the Scotiabank Family Heritage Centre to search for records of family members or friends. Walking uphill is easy, when you have 10 legs. 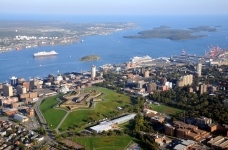 This national historic site, perched atop one of the city’s highest hills, offers one of the most breathtaking views of Halifax harbour and the city itself. Guided tours of the 19th-century barracks are available, or you can explore it on your own. Just outside the barracks perches the Halifax Town Clock – a city landmark that has been keeping time for the garrison and surrounding city since 1803. Across the street from the Lord Nelson blooms the historic Public Gardens. Opened in 1867, the six-hectare gardens were once the destination for the city’s gentlemen and ladies to stroll and be seen in their finest on a sunny weekend afternoon. 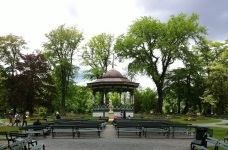 The gardens feature a bandstand, fountains, and striking wrought-iron gates. Their many flower beds are sure to delight (though you won’t find Blue there often – he’s highly allergic to pollen). Just around the corner from the Lord Nelson Hotel is one of downtown Halifax’s largest shopping venues. With more than 200 stores – such as Jennifer’s of Nova Scotia (run by Blue’s great aunt Jennifer and offering local handmade crafts), Premier Wine and Spirits (selling a wide range of local and imported wine, beer, and spirits), Pete’s (a favourite destination for Halifax foodies), and the Nova Scotia Heritage Music Centre (the name says it all) – the street and its side-streets offer a pleasant way to spend the afternoon shopping, followed by dinner and drinks at one of its many restaurants. 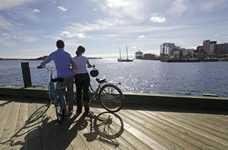 No visit to Halifax is complete without a stroll along the roughly three-kilometre boardwalk that abuts Halifax Harbour. It takes you by boutique stores, restaurants and food stalls, the city’s main information kiosk, the Bluenose, the Maritime Museum, a bike rental stall, buskers and fiddlers, the ferry terminal, and the Historic Properties (not to mention Cows, named one of Canada’s finest ice cream producers – Big’s a big fan, when he can get his claws to balance the ice cream cone). Boat tours are also offered, including the tall ship Silva. The southern end of the boardwalk leads walkers by a bronze statue of Samuel Cunard – one of Halifax’s renowned shipping magnates. Next to it is the Seaport Farmers’ Market, recently built to accommodate the ever-growing needs of North America’s oldest continuously operating farmers’ market. Blue loves to head there early on a Saturday morning, with his reusable grocery bags, to pick up some locally sourced produce and the occasional birthday gift for a friend. The LEED-certified building offers a rooftop patio and garden with lovely views of the harbour. 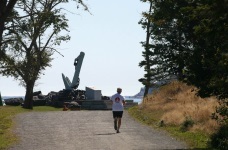 A former military bastion until 1866, the 75-hectare park jutting out of the south end of the Halifax peninsula is one of the city’s favourite destinations for dog walkers, runners, bird watchers, and picnickers. The urban forest is still recovering from the devastation of Hurricane Juan in 2003. The park offers some of the best glimpses of the ships and boats entering and leaving Halifax harbour. On moonlit nights Big Blue and his buddies can be glimpsed crawling up from the waters at Black Rock Beach, lounging and enjoying the sound of waves crashing. Tucked into the city’s North End is the Hydrostone Market. After being all but destroyed by the 1917 explosion, the neighbourhood was redesigned by urban planner Thomas Adams and has been named one of Canada’s best neighbourhoods. Boasting restaurants, a bakery, boutiques, and even an olive oil tasting bar, it’s one of Big Blue’s favourite weekend brunch destinations. Double B, as he’s sometimes known by his friends, is a big fan of the city’s bubbling craft beer culture (which includes Propeller, Garrison, and Bridge Brewing, to name a few). But he also enjoys touring the Keith’s brewery and learning more about the history of Mr. Alexander Keith. Tour guides wearing period costumes take visitors back in time to 1863 and the legacy of one of Canada’s most famous brewers. It’s also the site of North America’s first farmers’ market. A few booths can still be found open here on Saturday mornings. 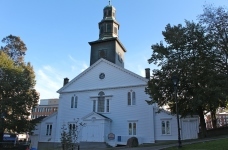 The oldest Protestant place of worship in Canada, St Paul's Church is located at the south end of the Grand Parade. Built in 1750, it still bears the mark of the 1917 Halifax Explosion, with a piece of a window frame from another building lodged in its foundation. The Grand Parade is a military square founded in 1749. 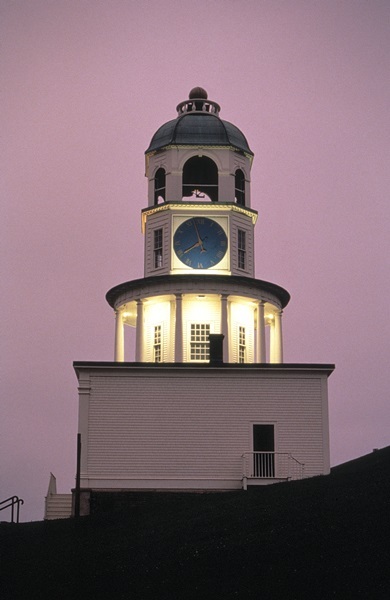 At its north end is Halifax City Hall, which is built on the site of the original Dalhousie University (built in 1820). Constructed between 1887 and 1890, City Hall is one of the oldest and largest standing public buildings in Nova Scotia. Now a fraction of a much larger parcel of land deeded in 1763 to the people of Halifax by King George III “for the use of the inhabitants of the Town of Halifax forever,” the Common is the site of many baseball, soccer, and other community sporting events. It also now houses an outdoor skating venue, the Halifax Oval (ice-free come June), and has been used for concerts ranging from Paul McCartney to Metallica. It's one of Big Blue's favourite places to go for a stroll on a summer's eve. The Halifax experience continues with a trip to the city's Destination Halifax website. PRICE: Order whatever you want – everyone gets an individual bill. SIGN UP: Contact conference@editors.ca and let us know you’ll be coming. Include “Thursday Dinner” in the subject line. Please respond by Friday, May 31. SIGN UP: No sign-up required. Meet at the front door of the Lord Nelson Hotel. WHAT: Explore Halifax at your own pace, and collect points for prizes. Information on the Culture Crawl (a self-guided scavenger hunt) will be in your conference bag, which you can pick up at the registration desk. Prizes for the best Crawlers will be announced on Saturday. SIGN UP: No sign-up required. Look for the Culture Crawl info in your conference bag. 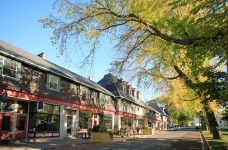 WHAT: Delight in an authentic Halifax neighbourhood experience and delicious local food. SoMo – South of Morris Street – is a vibrant area with some of the city’s finest restaurants, as well as the Halifax Seaport Farmers’ Market where local chefs find the freshest ingredients. You’ll visit the kitchens of six local eateries for generous food samples, and learn about Halifax food and culture from your guide Emily Forrest. PRICE: For only $30/person, you can take a bite out of Halifax! 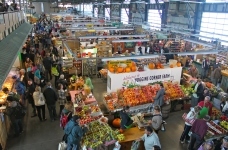 SIGN UP: Sign up for this special EAC tour at http://somofoodtoureac.eventbrite.ca. 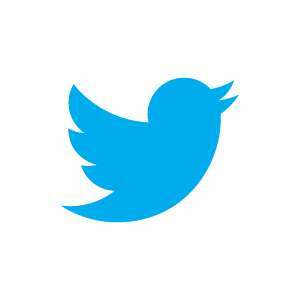 Information about where to meet will be emailed to you. Please book by Thursday, June 6. PRICE: $30 includes light refreshments. 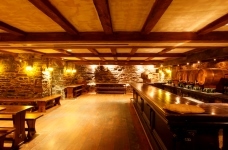 Cash bar additional. Indochine Banh Mi is offering a 10% discount to all EAC delegates. Just show your delegate badge. Located a few doors up from the Lord Nelson Hotel at 1551 South Park Street, Indochine features freshly made, locally sourced Asian-inspired fare. From delicious Banh Mi sandwiches and soups to Bubble Tea, owner Liz Clark makes fast food healthy. Discover why Indochine’s a favourite stop for downtown Halifax foodies. Buildings of architectural, historic, cultural, and social significance open their doors to the public for special programming and tours. Visitors are invited to properties that are not usually open to the public, or normally charge an entrance fee.